Fully automated custom process system for metal finishing. This is a short video shot with a cell phone camera of an fully automated custom process system for an Electro-Plating line due to the high production required of this line : a dual cantilever end-effector ( two "arms") were used to : load, unload and move the "fight-bars" with the parts (not shown) from tank, to tank, to dryer and finally to the unload station. 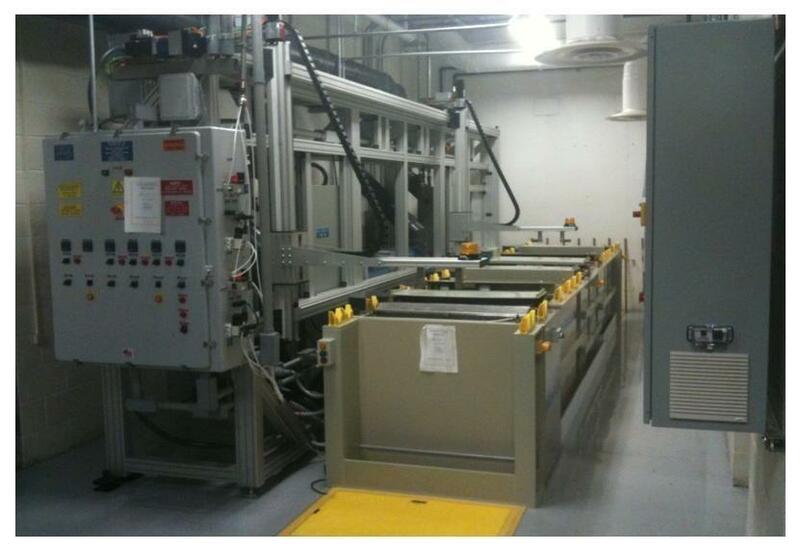 Electro-Plating line.